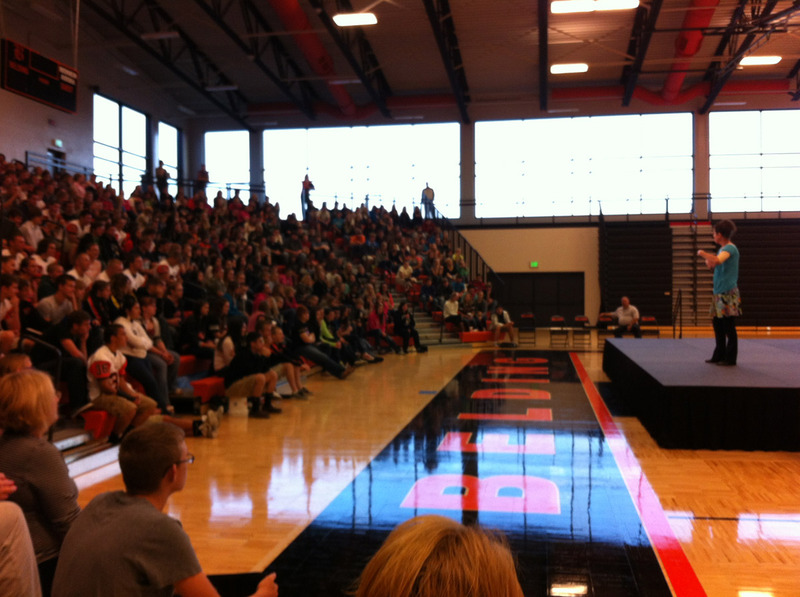 We recently had a performance of The Gisele Show at Belding High School in Belding, Michigan. 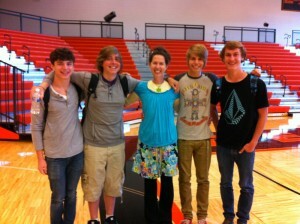 I was the cancer keynote speaker featured during their Cancer Awareness Week. Kids get overwhelmed with media images and messages about what their bodies are ‘supposed’ to look like. I shudder to think about all the pressure put on them to achieve and maintain some completely unrealistic and damaging physical ‘ideal’. That’s why I love sharing The Gisele Show with them. Yeah, a funny, REAL story about my cancer experience, with a focus on body acceptance after my mastectomies. And there I am, standing on stage in live performance, with my boy-chest (clothed, of course; it’s not that kind of show!). What!?? You mean a woman can be happy and creative without double D’s??!!! It’s true! My secret plan is that by wrapping that message in a funny, fast paced, upbeat show, I can sneak in some self-acceptance to the kids in the house. So, shhhhh, Holla quiet!